What is known today as Fisher's Country Store was begun in 1981 in the spare bedroom of a trailer on the (former) Steve Kauffman farm on Hoagland Road, in Bedford, Pennsylvania. The proprietors were Mr. and Mrs. Steve Kauffman, and the business was known as "Kauffman's Country Store." The business served friends and neighbors until it became obvious that more space was needed. 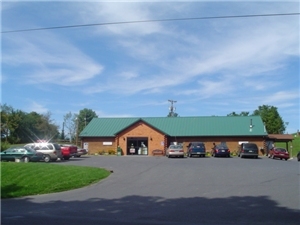 The store then moved into the garage adjacent to the farm house. During the 1980s, several more expansions were made. Finally, the Kauffmans decided to construct a new store building on the corner of Hoagland Road and Business Route 220. The new 3200 square foot pine-log building was completed in 1989, and the store moved to its present location. Around this time, the Kauffman family was asked to join a church outreach in New York. The store was put up for sale. The business was purchased in June of 1990 by Mr. and Mrs. John Fisher of Bedford. The name of the store was changed to "Fisher's Country Store." In 2003, a 2300 square foot addition to the building was completed, with a 75% increase in retail space. 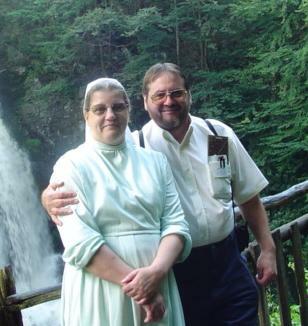 John and Elizabeth Fisher moved to Bedford from Lancaster, PA, in 1988, purchasing Kauffman's Country Store in 1990 and entering the retail grocery business. Now offering pre-order sales on select fresh meats. 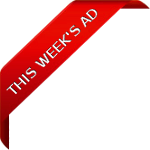 Check out our monthly featured items and also our weekly ad! Sign up to have our weekly ad delivered to your inbox!